According to a new report North America Non-Volatile Memory Market (2016-2022), the market is expected to attain a market size of $24.0 billion by 2022, growing at a CAGR of 8.5% during the forecast period. 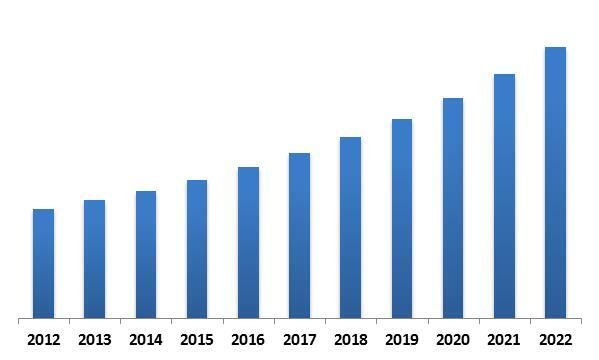 North-America Non-Volatile Memory Market Revenue Trend, 2012-2022 ( In USD Million)[/caption] The ever increasing demand for faster access and low power consumption memory devices has been the major factors contributing to the wide spread adoption of NVM majorly in consumer electronics, automotive and healthcare sectors. Nevertheless, low write endurance rate and limited storage capacity would be factors that would restrain the market growth. 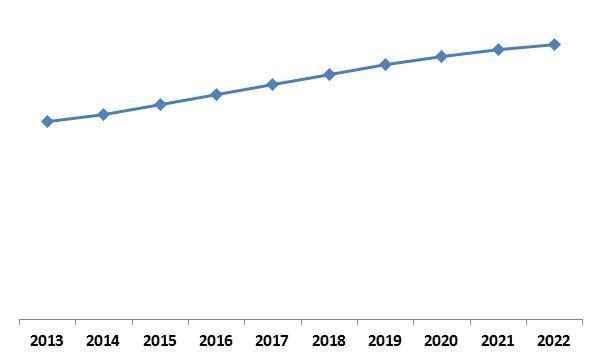 Despite restraining factors, the demand for NVM, mainly in flexible electronics and innovation of advanced storage technologies such as 3D XPoint, MRAM, SONOS, and NRAM would be opportunities for the growth of the market. In 2015, US dominated the North America Non-Volatile Memory Market By Country with revenue of $10,335.3 Million. However, Canada would witness highest CAGR of 11.0% during the forecast period (2016-2022). North-America Non-Volatile Memory Market Growth Trend, 2013-2022[/caption] Electrically addressed is the leading memory type and widely used in consumer electronics. The growing demands for greater efficiency, faster memory access and low-power consumption devices are a few notable factors driving the market growth. In 2015, Enterprise Storage dominated the North America Non-Volatile Memory Market, and by 2022, the segment would attain revenue of $10,318.3 Million. However, others segment would witness highest CAGR of 11.6% during the forecast period (2016-2022). Growing number of datacenters would be the leading factor driving the market and would significantly contribute to the overall market revenue. 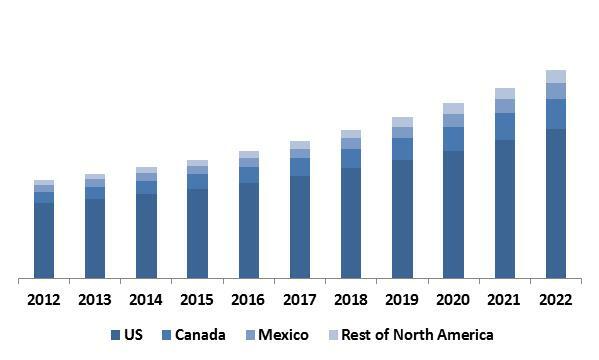 North-America Non-Volatile Memory Market Revenue Share by Country 2015 (in %)[/caption] Telecom & IT industry would be a leading vertical within the overall NVM market, as substantial data volume is generated on a regular basis, which demands efficient datacenters or storage centers. In 2015, Telecom & IT dominated the North America Non-Volatile Memory Market, By Vertical with revenue of $5,934.3 Million. However, Manufacturing Industries would witness highest CAGR of 10.9% during the forecast period (2016-2022). North-America Non-Volatile Memory Market Revenue Share by Country 2022 (in %)[/caption] The major players profiled in this report include Adesto Technologies Corporation, Viking Technology, Kilopass Technology Inc., Samsung Electronics Co., Ltd., Intel Corporation, Sidense Corporation, Sandisk Corporation, Toshiba Corporation, and Micron Technology, Inc.